1pm - Seminar - "Breaking into RPG Writing"
4pm - Seminar - "Podcasting: An Introduction"
10am - Seminar - "It's Cool to be Oldschool - Discussing the OSR"
4pm - Seminar - "Podcasting: Content and Distribution"
10am - Seminar - "Eureka!Cooking up adventure plots with Gnomestew"
1pm - Seminar - "World building 101"
2pm - Seminar - "World building in an hour"
I've still been hacking away at my next VisionVenture module called "Into the Darkness". I seem to be having a problem with room descriptions and writers block has set it. It got me starting to think outside the box. Why do I have to have room descriptions when the mapped room shows what's in it? What about adding some bullet points versus a lengthy descriptions? Changed maps format.. yet again! Well I think all the nations of Ebonyr has a flag now. I'm working on Coat of Arms for some of them. I've also created some new maps for the major cities. Level 2 map for "Into the Darkness"
Just finished the 2nd level of the Visionventures module, Into the Darkness. I have the encounters and rooms partially written. I'm going to start sketching out level 3 in the next few days. New map for "Into the Darkness"
I was messing around with Autorealm tonight and came up with a cool map for the adventure module, Into the Darkness. 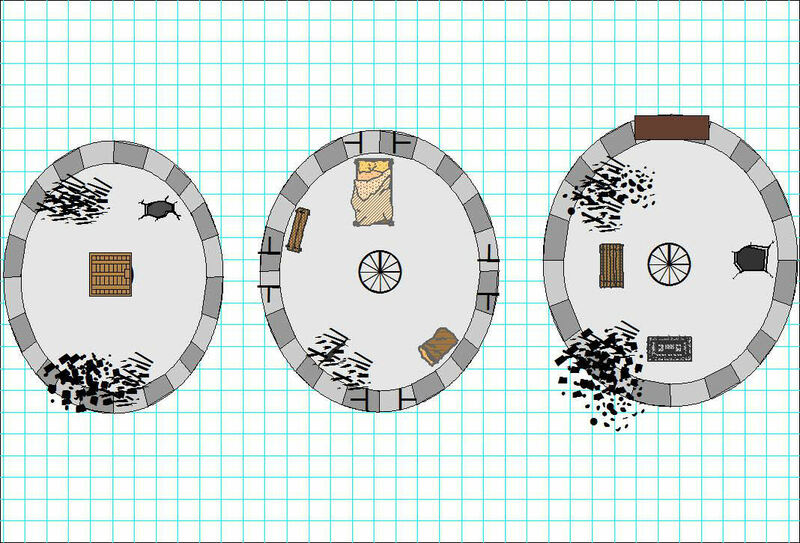 I wanted a map that can be printed pretty easy with as little ink as possible. It looks like my web company, Yola.com, has updated some widgets and the WYSIWYG editor. 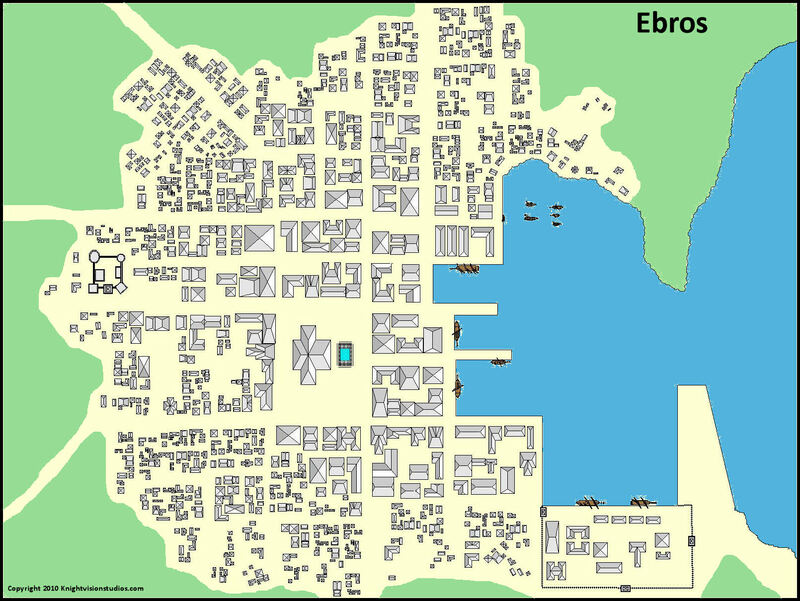 So I decided to move the Ebonyr campaign setting back over to Knightvisionstudios.com vs. my Google Sites page. This way its all in one place and easy to navigate and update. I've added some new maps, nations as well as flags. I'm also working on city maps using the Autorealm program. We'll I had an extra couple of hours to kill today, so I started working on the level 1 dungeon map or "Into the Darkness". I'm going to use an arrow icon to show stairs up/down. 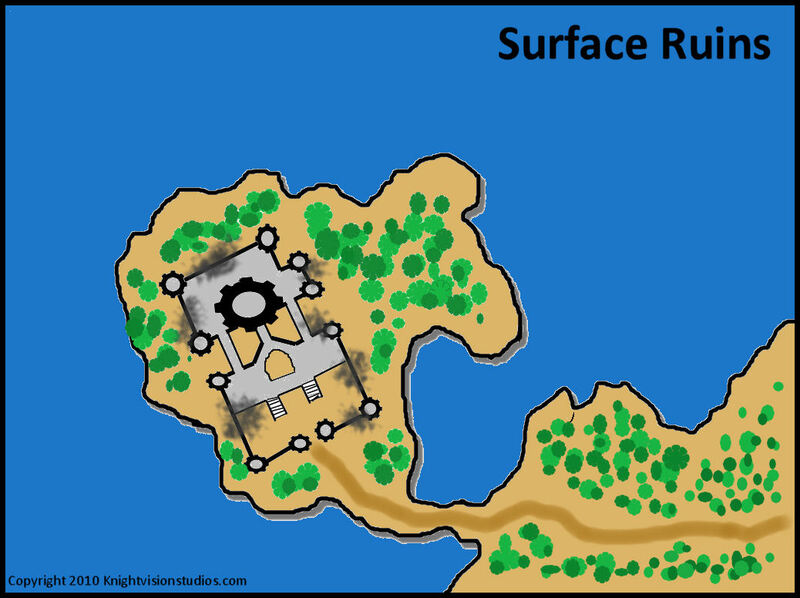 Again, I used Paint Shop Pro to make this map. I started fleshing out my notes for the next Visionventures module, Into the Darkness. This module will use the Swords & Wizardry core rules and be for 1st and 2nd level PCs. 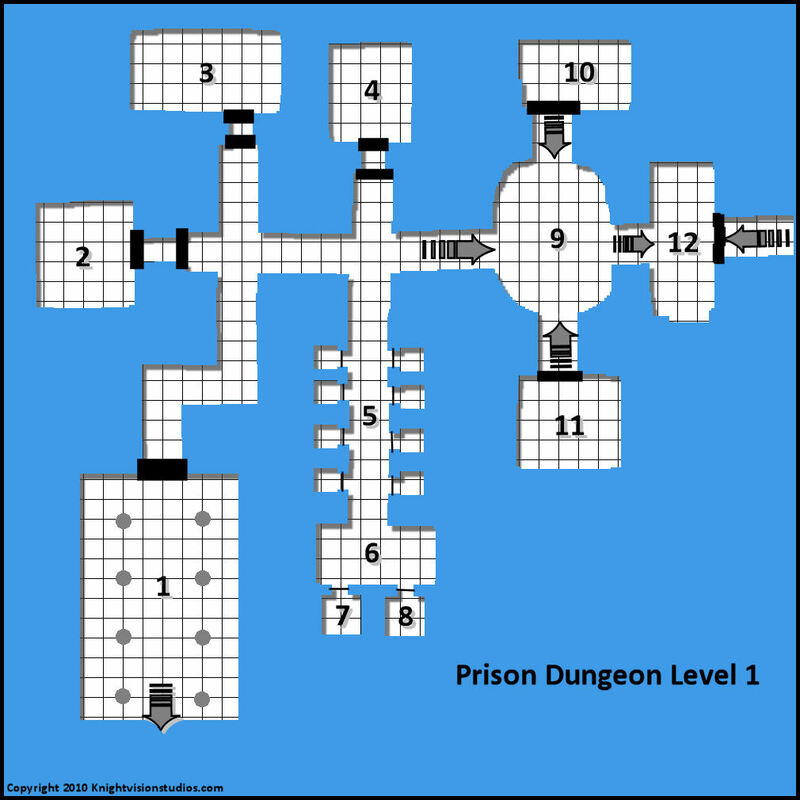 The PCs will be tasked to explore and map an abandoned prison complex. I've created several maps to start out this adventure.